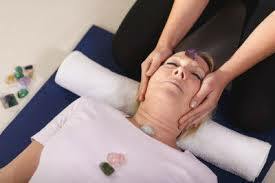 The Complete Holistic Package combines all the treatments together; a one hour ‘hands on’ Reiki treatment, a Crystal Layout with intuitively selected crystals placed on the body, aura repairing and cleansing with a quartz wand, chakra balancing and alignment, a crystal card reading combining channelled spiritual guidance, and approximately a one hour session of spiritual and holistic counselling. 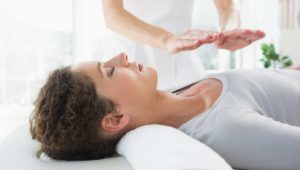 Aura Cleanse and Repair Repairing defects - specific aura damage due to prolonged stress, illness or emotional trauma, releasing etheric cords and negative energy. 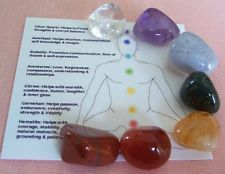 Chakra Balancing Specific treatment of balancing each of the main seven chakras individually so that they are open and energised, bright in colour, and equal in size. 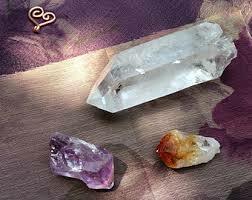 Crystal Card Reading A crystal card reading can provide further insight into the client’s present life situation or present state of being, these crystals will be used during the healing session. Counselling/Life Coaching/Spiritual Guidance Counselling and coaching helps many individuals realise their own strengths and abilities by helping to overcome limitations and beliefs that can hold us back. Spiritual guidance can be given to the individual to help them see the 'bigger picture' by exploring the spiritual contract that was made on a higher level of existence. We can then focus on empowering the individual to reach their full potential for a happy and fulfilling life. Note: This package is also conducted in Applecross, Perth (WA) on selected dates throughout the year during Perth training tours.